COLORADO SPRINGS, CO -- A suspect in an assault tried to avoid police by climbing a Colorado tree and staying there for hours. The 30-year-old man camped out in the Colorado Springs tree for about five hours Sunday evening, climbing down after police used tear gas and sprayed him with water. 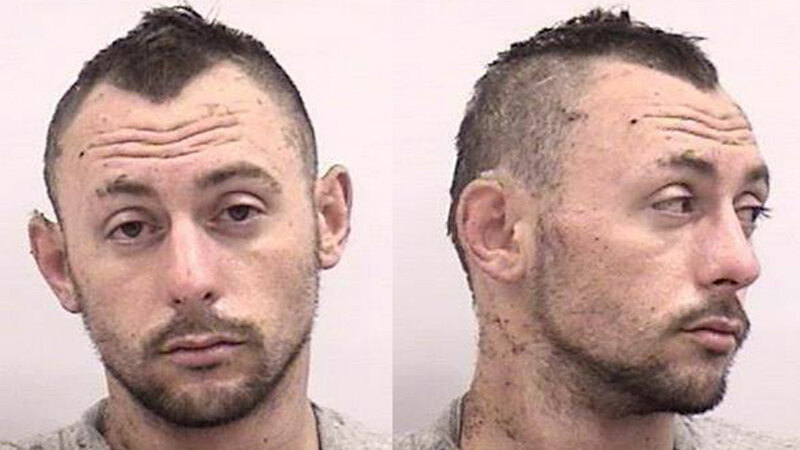 Police say Lane Malouff was wanted on suspicion of assaulting the mother of his children and trying to strangle her in June in the small southern city of Alamosa. During the standoff, officers didn't know if Malouff was armed and evacuated several nearby homes as a precaution. But residents seemed more amused than alarmed. Colorado Springs news station KKTV reports that a crowd formed along the line of crime tape, with many taking videos and photos. It's not clear if Malouff has a lawyer yet.